You'll never guess who's going to have a baby. 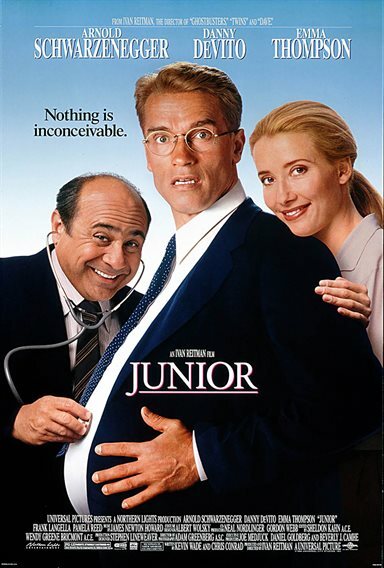 Watch as the maternal tables are turned forever when, after taking an experimental drug, Arnold Schwarzenegger becomes pregnant! Director Ivan Reitman teams Schwarzenegger, Danny DeVito and Academy Award®-winner Emma Thompson in this delightful family comedy that delivers sidesplitting fun. Download Junior in Digital HD from the iTunes store. Junior images are © Universal Pictures. All Rights Reserved.